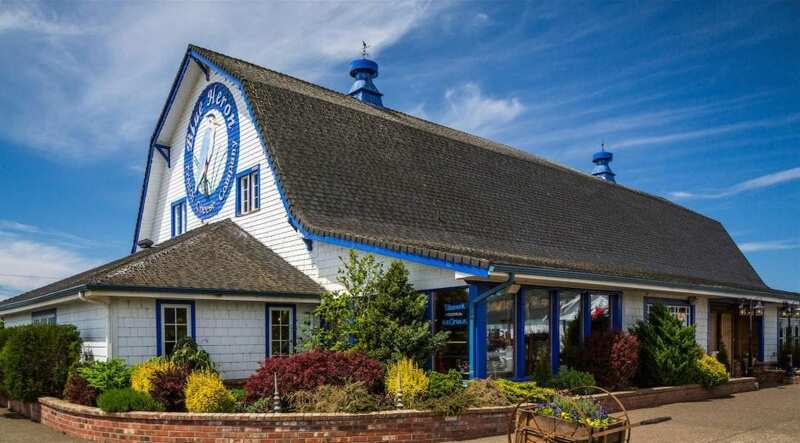 The Blue Heron French Cheese Company in Tillamook is celebrating more than 40 years in business on the Oregon Coast. There is something here for the entire family. Sample our famous Blue Heron Brie, try our gourmet foods, taste Oregon’s finest wines or wander through our unique gift store for local foods. We also have a petting farm for the kids to visit. If you are looking for a fantastic place to eat lunch, try our Blue Heron Deli with fresh baked bread and homemade soups and salads. Take a day off with family and friends and spend it on the coast with us. Seven days a week. Summer: 8am to 8pm. Winter: 8am to 6pm.